I just checked in and realized I hadn't posted in months...unfortunately my other job (running a startup) has been sucking up both my time and my brain, so that I can barely even think about cooking for my food allergies....but wait. It's Thanksgiving, the bestest cooking holiday of the year, yay! Due to a nasty flu last time it was my turn to cook, it's been a while since I have had time to think deeply about a turkey day menu. And you know what? It's so RELAXING for me...all the preparation and planning makes me feel comfortable and safe knowing that I'll have a lovely meal that meets my needs for my food allergies. I know it's stressful for others, but for me, the kitchen is my happy place. I'm having a pescatarian friend over this year, so she's bringing salmon and a veg. My first time seeing fish at the table for Thanksgiving! So I'll be adjusting my cornbread stuffing to be meat-free, and instead add more roasted nuts and fruit for flavor. And my Cranberry, shallot and cherry compote recipe will go most excellently with both her fish and my turkey. She just doesn't know it yet! I haven't made turkey in a while, so I almost forgot that I need three days to dry brine the turkey ala the late, celebrated Judy Rodgers of the Zuni Cafe. Since it's just me for the turkey (and for all of the glorious leftovers), I'm buying a few legs instead of the whole bird since I like the dark meat best. And I get to feel like Henry the 8th, waving them around. The main thing I feel grateful for is that mentally, emotionally and physically, I am feeling like all is right in the universe. In reality, I'm pinching every penny and stressed about money as my partner and I are getting our business rolling--but the weird thing is that I feel like the cosmic tumblers are clicking into the right place, regardless. Do you get that feeling? I hope so--and wish that for everyone this holiday. 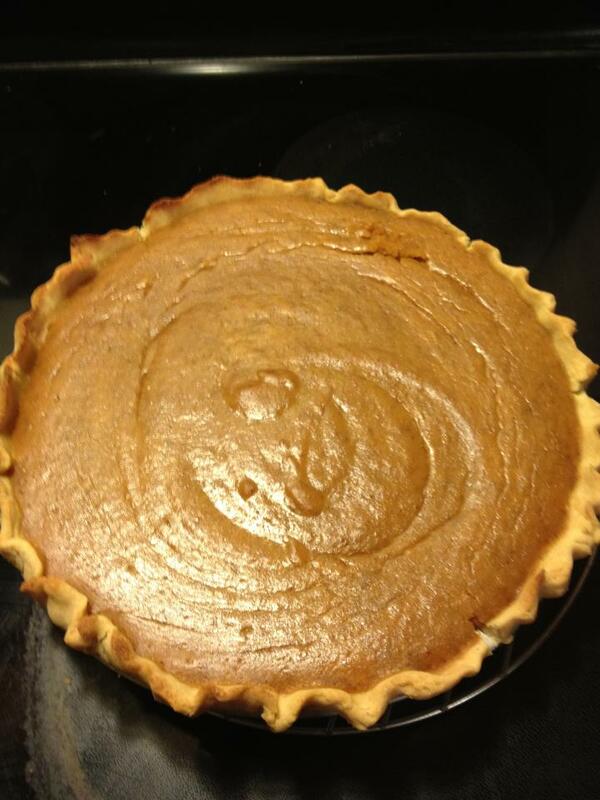 There is so much disgusting, and mind-numbing fear and hate going on right now that I sorta can't wait to hide out in the kitchen for a while and think only about pie. BTW, Ruth Reichl roasts her pumpkin first! Wouldn't that be lovely if everyone could take a break from being horrible for a while and be grateful for all the blessings and loved ones they have in their lives? 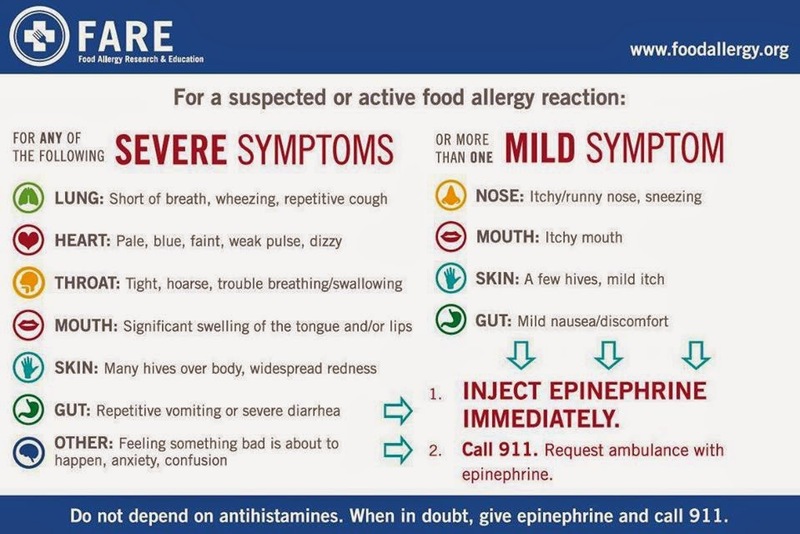 Sharing this photo from FARE: I've personally experienced the heart (pale, faint, dizzy) and the other (feeling of dread, anxiety) and went to the hospital thinking it was a heart attack. Be smart and be safe! 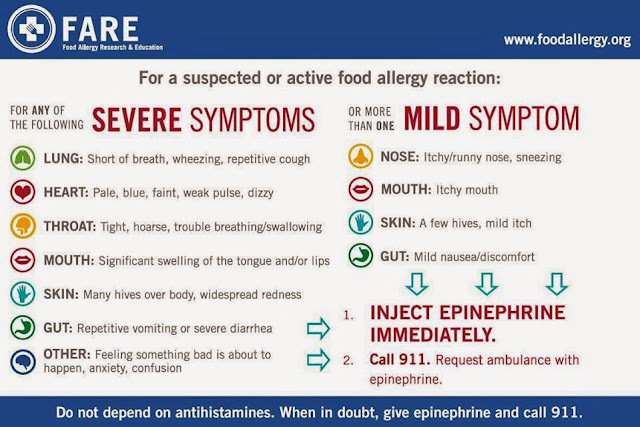 Thanks Food Allergy Awareness and Education at foodallergy.org. You know how, in the movies, when the hero is about to die their life flashes before their eyes in a beautifully-shot montage of tender moments? Well, when I was first diagnosed with my gluten allergy, the montage that flashed through my mind was of all the bread I was going to be missing. Dramatic, I know, but hey--it happened. Bread is one of my fave things ever, and I never tire of it. It is always definitely be on the plate when I play the "last meal" game. Rustic breads, unleavened breads, quickbreads, dinner rolls, croissants, brie and butter sandwiches on rustic baguettes--you get the idea, I love 'em all. So ever since I was diagnosed in 2003, I've been on the hunt for a decent gluten-free bread that didn't taste heavy and fibrous like a doorstop, or the Washington Post. Most ranged from disappointing to downright criminal so basically I stopped eating anything resembling bread for years. Although the gluten-free revolution is in now officially "a thing", to quote Rachel Maddow, I still manage to miss out on my bread-love because most of the good commercial loaves out out there (I hear Udi's is great) are based on rice. To which I am also allergic. Which is also why I'm the Queen, of course. I've dipped into the bread recipes of several respected #gf cookbooks, but have not been thrilled. And I've used Bob's Red Mill gluten-free bread mix, based on garbanzo bean flour, which I like for texture, but don't love for the slight beany aftertaste. It was my go-to, until now. Last summer, I moved to Seattle and discovered Maninis Gluten Free, which bases their gluten-free breads, muffins, cookies, etc. on ancient grains like millet, teff, amaranth and sorghum. Also tapioca flour. Their pre-made baked goods and pastas caused me to gain an *undisclosed* number of pounds that summer, since I finally had bread that both tasted good and had a fantastic texture! (In my defense, they made these insanely good chocolate, chocolate chip and fresh raspberry muffins. The stuff of legends.) Sadly, they no longer sell their pre-made breads at the farmers market in my 'hood, so I'm left with whatever Maninis products I can get at Whole Foods: dinner rolls, fresh pastas and dry mixes. So I tried out the Multiuso (basic baking) mix yesterday using a recipe from their website. Multiuse flour. They also have bread mixes. It didn't disappoint! My biggest failure was to not proof test the yeast before I put it into the batter, as a result it took forever to make it rise. Also, I forgot to calculate the temperature difference since it's colder here than my kitchen in California. And, full disclosure, I parked the batter on top of the stove as a warm place to rise, completely forgetting that I have an electric stove, not a gas one. D'oh. Lovely texture, terrific taste, with no nasty "it's not real bread" aftertaste. I froze half of the loaf for later. Be sure, I will be having some fantastic toast along with my newfound love of vegan butter based on coconut oil that I now make in quantities. I am SO happy, and feel so much more NORMAL knowing and trusting that I have delicious bread (and other baked goods to come) back in my life! You can also order their mixes online. In bread we trust! *Bonus for those concerned with cross-contamination, the package states that they work from a dedicated facility free of gluten, wheat, dairy, eggs, peanuts, tree nuts, fish, shellfish and soy. 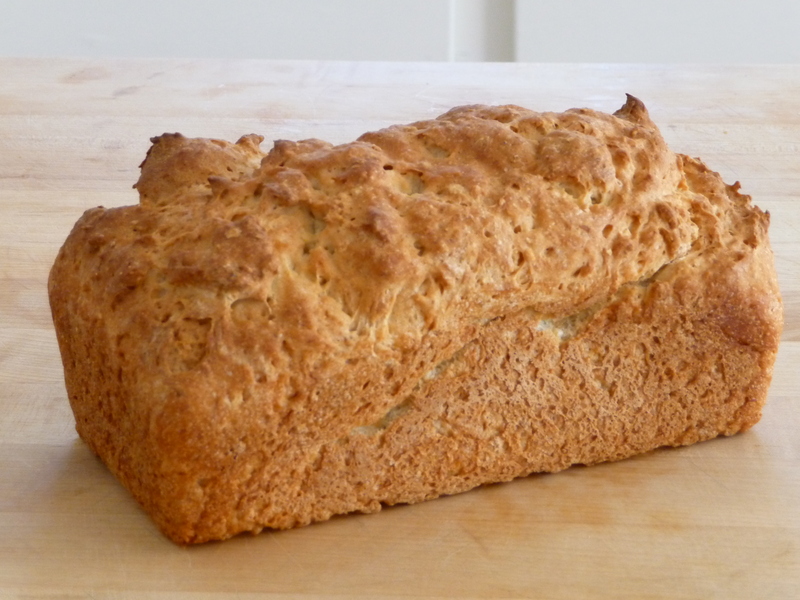 Multiuso Multi-Purpose Flour Mix can also make a delicious rice-free gluten-free bread loaf! For your first loaf, please also refer to our Baking Tips to make a perfect loaf the first time! speed to low and mix for 3 minutes. the top. Preheat oven to 375°F. rack and bake for 45 minutes. from pan and place on a cooling rack. Ugh, I'm behind behind behind in posting and in life. I've been cooking and experimenting behind the scenes for the past few months, but not posting about it! You can smack me, virtually. Meanwhile here are some photos of what's coming up. No tomato mustard-based BBQ sauce! No need to feel left out during this time of year-- pure cookie gluttony! 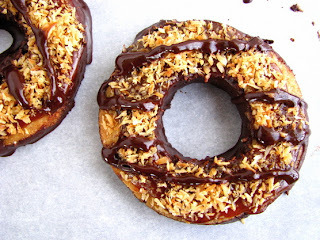 The photo is the gluten free Samoa from Real Sustenance, but the paleo Thin Mints look great! Enjoy. Happy New Year everyone! The holidays for me were a little crazier than usual--my family came to visit and stay with me for Christmas in my new home in Seattle for the first time, and let's just say it took quite a bit of time, energy and more than a few trips to IKEA to make it guest-worthy in time. Luckily, we agreed NOT to stay in and do a big meal for Christmas (so it turned ok in the end that the dining room was the least-finished room in the house). Whew! One evening after Christmas, my mom and I were taking a nice walk after dinner, and we ran across two chocolate shops on Main Street in Bellevue (which is a neighborhood east of Seattle proper). One was Fran's--which is local to Seattle and now famous nationwide, especially for their seasalt caramels. However, personally I feel that their product quality is not what is used to be (perhaps due to their global expansion), so was lukewarm about going in. Also, I prefer to support local retailers whenever possible, so was thrilled to pieces to find Amore Chocolates right across the street from Fran's! It is the TEENIEST shop I've ever been in in the US (there were tiny ones in Europe like this), but here was the kicker--they had a sign on the door that said "Vegan truffles--dairy free" and "Gluten-free". How could I resist? I practically dragged my mom into the store behind me. Once inside, I overheard one of the employees ask, then repeated the question, to someone as to whether she had touched some products because he was working with peanuts and he didn't want cross-contamination. Bingo--I was with my kind of people! I got even more excited, if that's possible. We started chatting, and it turns out that that young man who was concerned about cross-contamination also had food allergies himself. Of course, we began sharing our food allergy lists, and once again, this Food Allergy Queen reigned supreme. (Insert crowd cheers here.) He then goodnaturedly assigned himself the title of Food Allergy Court Jester. So cute! On to the chocolates! So, it turns out that ALL the dark chocolates in the store are dairy-free and made with coconut milk instead. 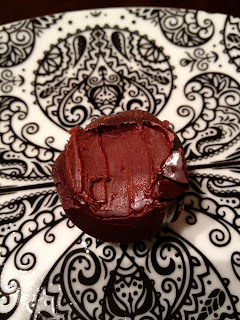 No cream in the chocolate, or the ganache (usually made with chocolate and cream) fillings. No butter either. Anything with a creamy texture was made with coconut milk! (See picture with bite out of it to see the texture--please ignore the bite mark.) And knowing that dipping chocolates by hand is difficult and a tempermental process in the first place, and also considering the extra challenge of the natural humidity in the Pacific Northwest, I was especially impressed by the hand-dipped chocolate texture and the intense European-style flavors of Amore Chocolates. The owner, Brenda, was on the premises so I was able to ask her directly about how she assembled her products and the ingredients of everything. She was tickled to help me work my way through the choices. 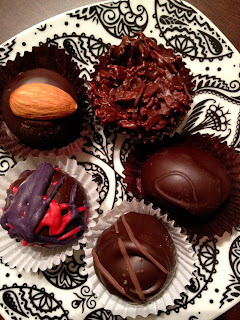 My favorites were the truffles, which had intense and complex flavors: Seriously Dark, Espresso and Raspberry. I also loved the Haystacks (coconut) and her new one, Potato Chip Haystacks, made with Ruffles! And the marzipan (made with almonds) ones were lovely and chewy, with just the right balance of sweetness. 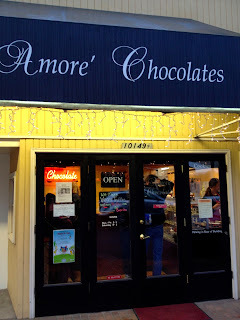 A followup email confirmed that Amore uses chocolate from Guittard which is gluten-, dairy-free and peanut-free. However, they share equipment that may use dairy or almonds. They use soy lectithin, so those of you with soy allergies unfortunately need to skip these. Also, when I asked, Brenda was not able to confirm that her sugar was vegan, and I'm guessing neither can Guittard. So I think we're safe to say they're vegetarian, but may not be 100% vegan for those who avoid all animal products. 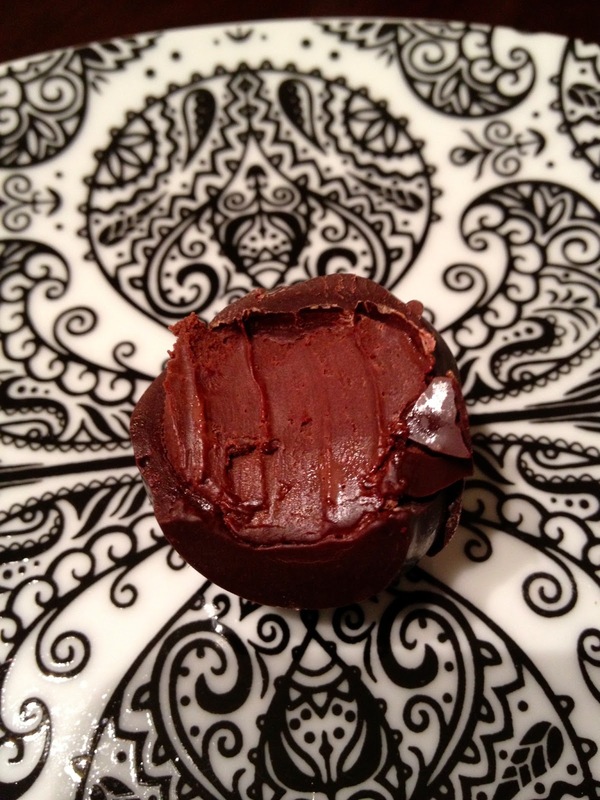 Best of all, Amore Chocolates can be shipped across the U.S.! Since it's still winter, there's little chance that your chocolates will melt on route, but call and check if you live in a warm state and are concerned. These are hand-dipped, and handmade, so they are labor intensive and a bit pricey. Expect to pay about what you would for Godiva chocolates...I think I purchased 12 pieces and they were $28. A special occasion treat. Try them, and let me know what you think. Be sure to tell Brenda that the Food Allergy Queen sent you, she'll love supporting our community. And you get amazing chocolates. What's not to love?